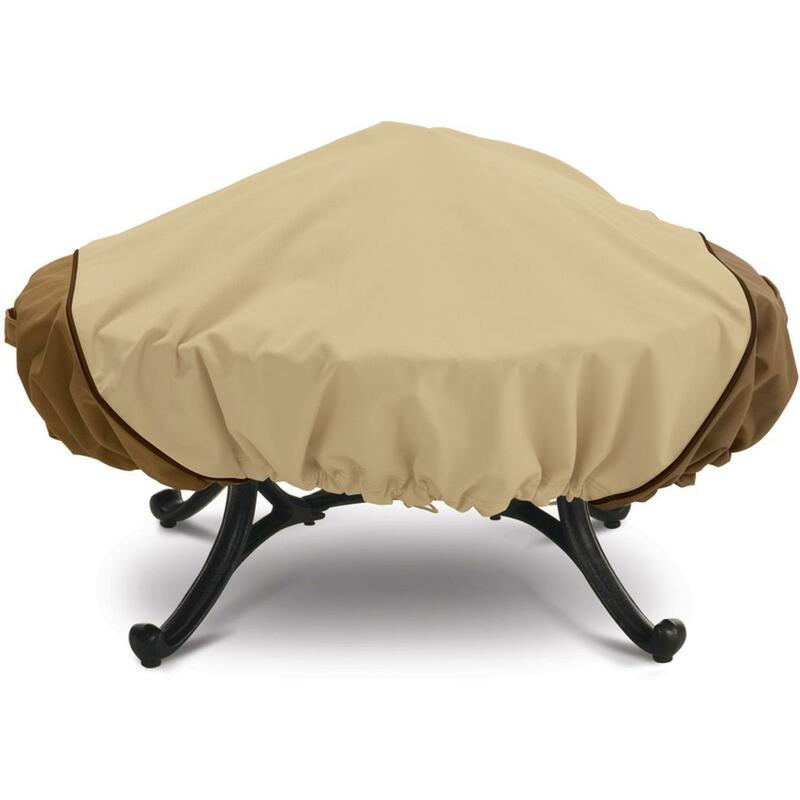 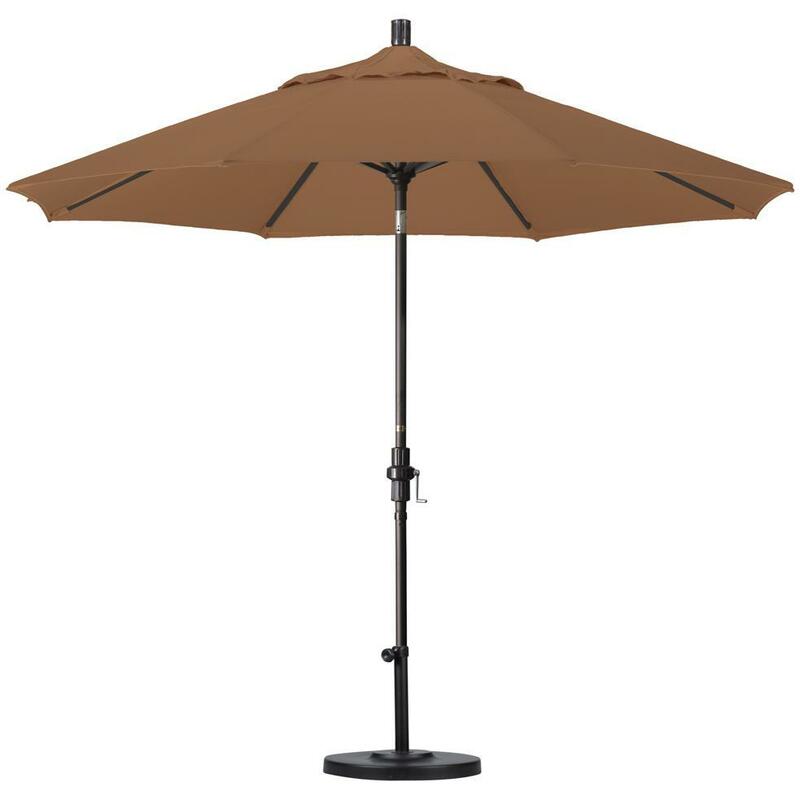 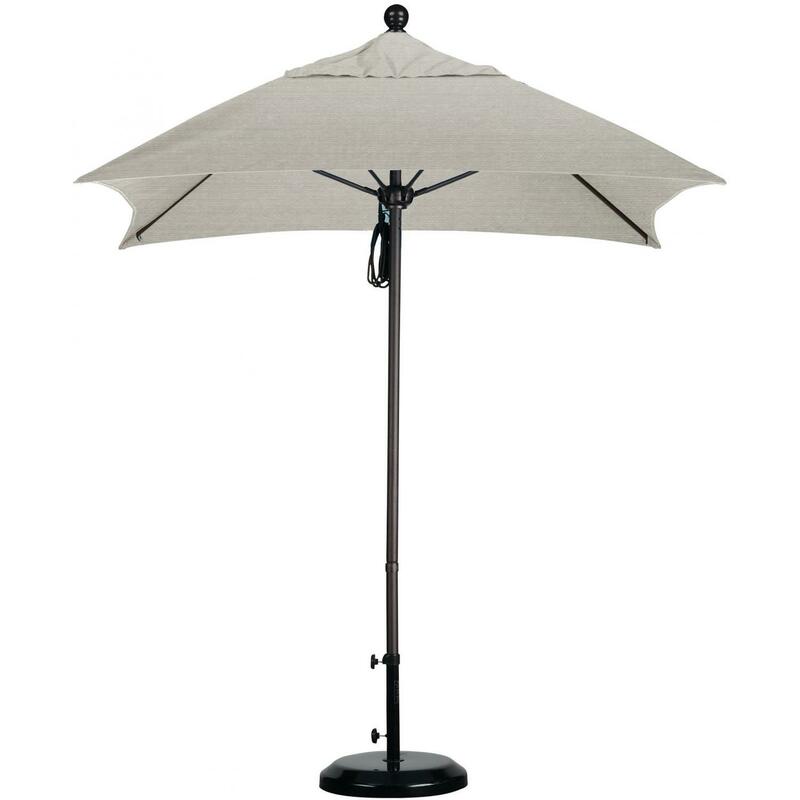 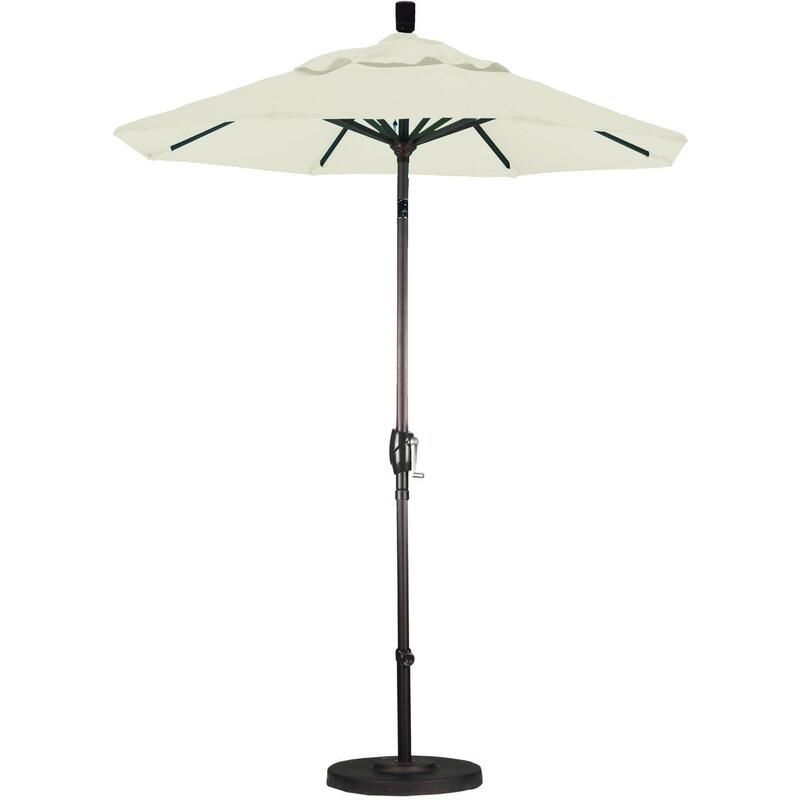 Product Description: California Umbrella Octagonal 9 Ft Aluminum Patio Auto Tilt Umbrella With Crank Lift And Aluminum Ribs - Sunbrella Heather Beige. 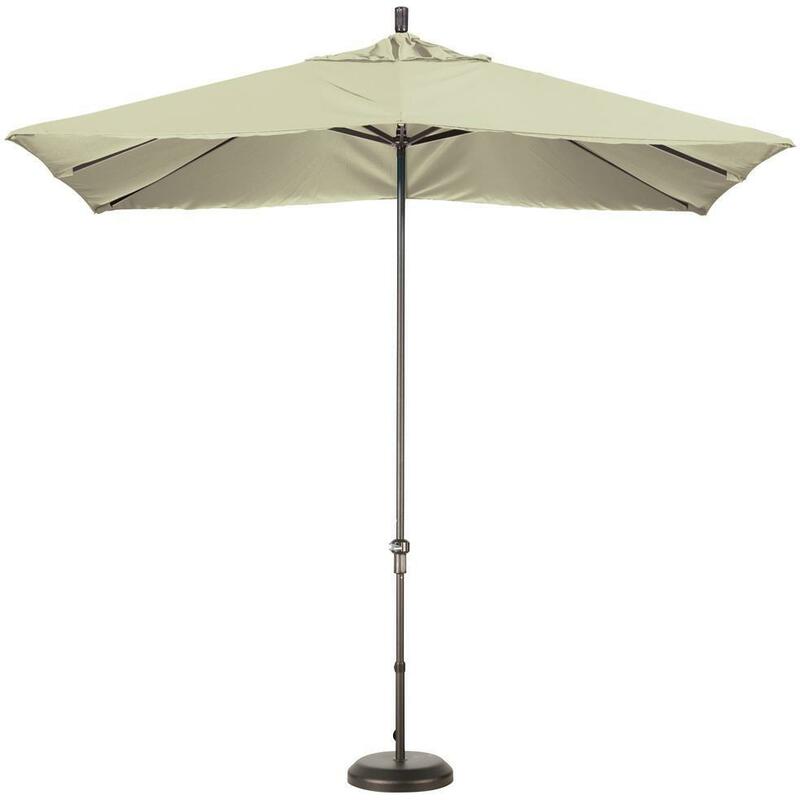 Enjoy comfortable and convenient refuge from the bright rays of the sun with this stylish 9 foot market umbrella in beautiful Sunbrella Heather Beige fabric from California Umbrella. 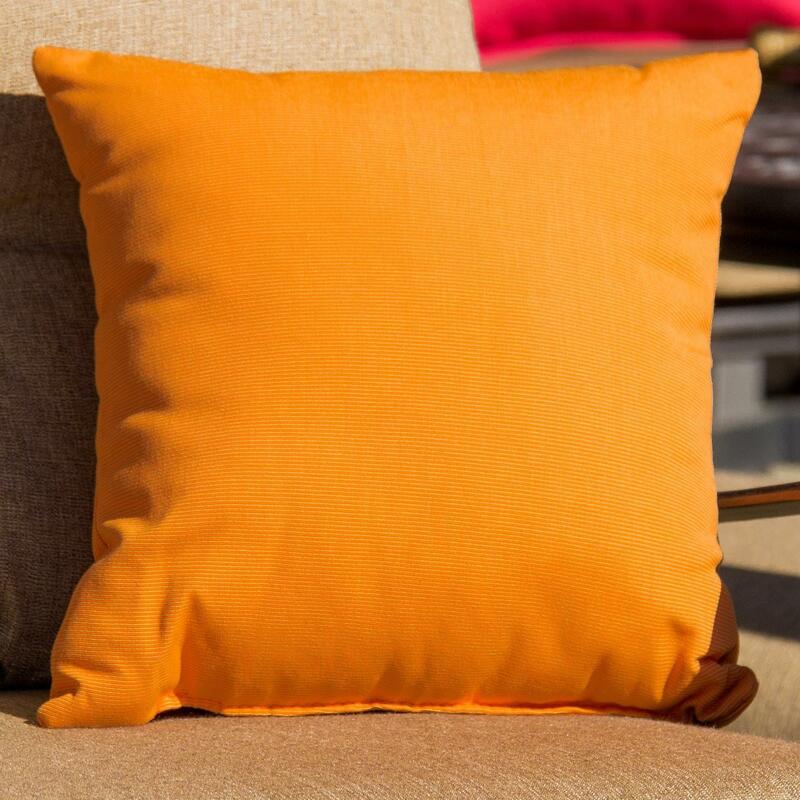 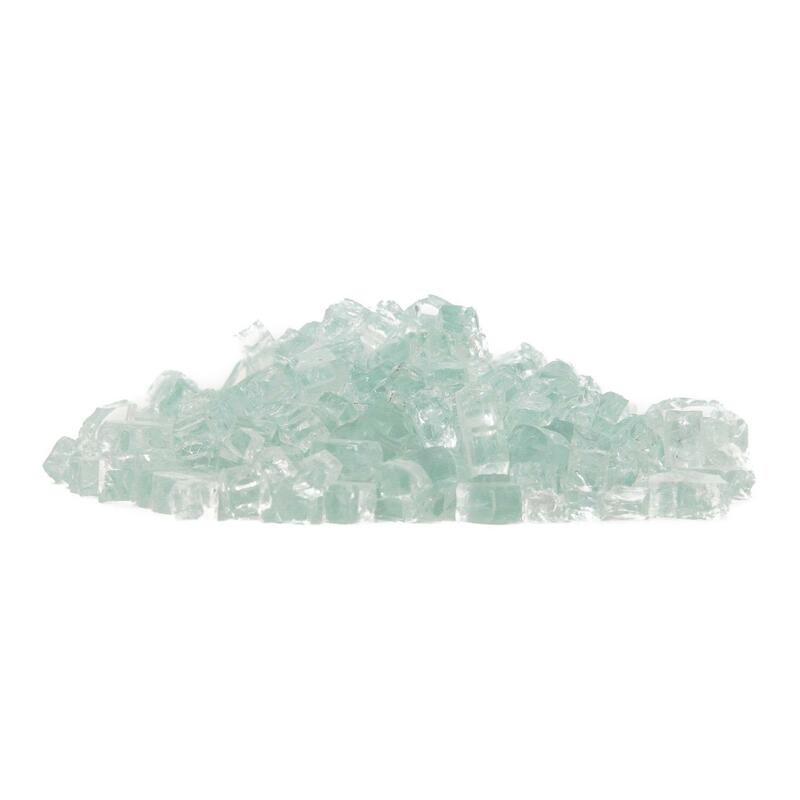 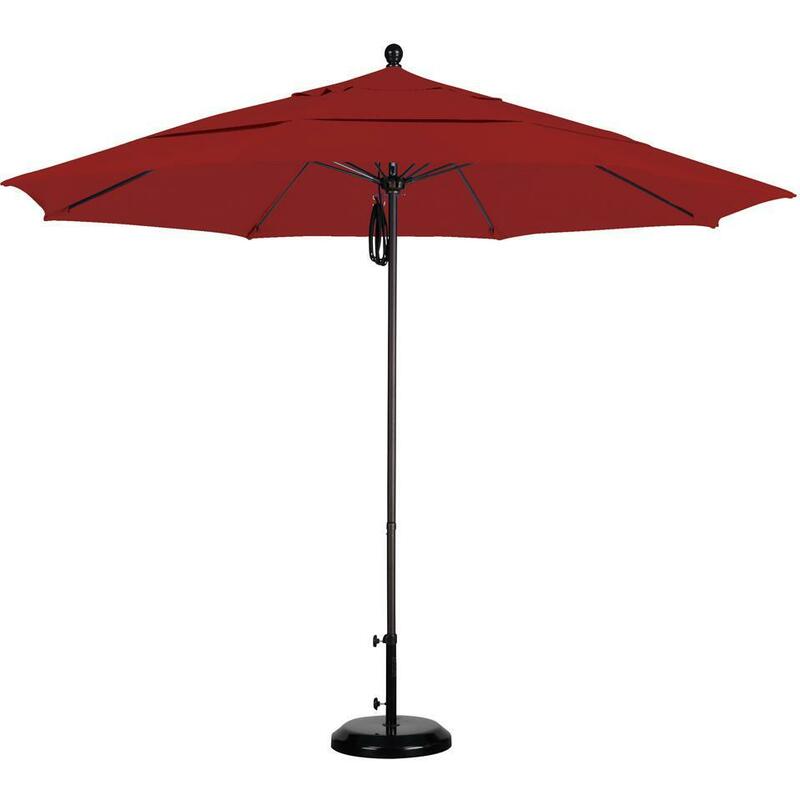 Sturdy aluminum 1 1/2 inch pole and resilient aluminum ribs support a beautiful octagonal canopy made from your choice of durable fabrics with rich, vibrant colors that are highly resistant to outdoor conditions. 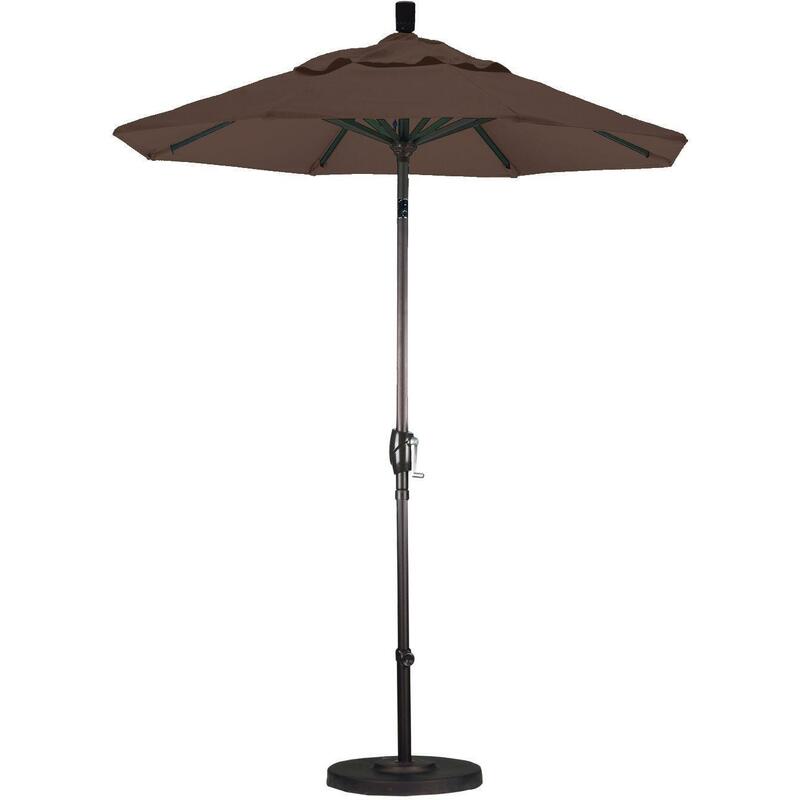 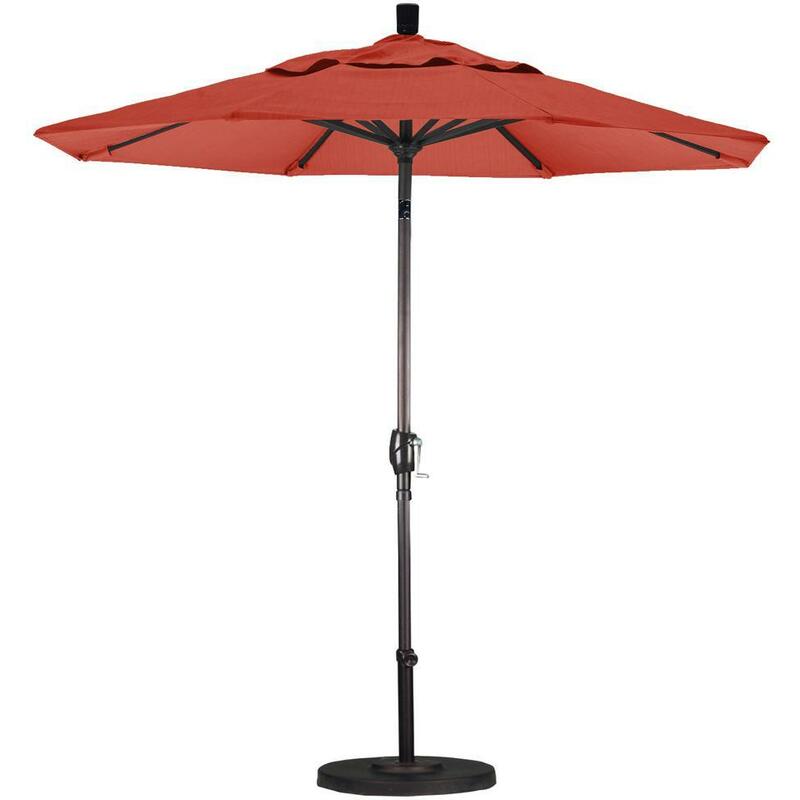 The umbrella pole is 1 1/2 inches in diameter and will accommodate most patio tables with umbrella holes and most umbrella bases and stands. 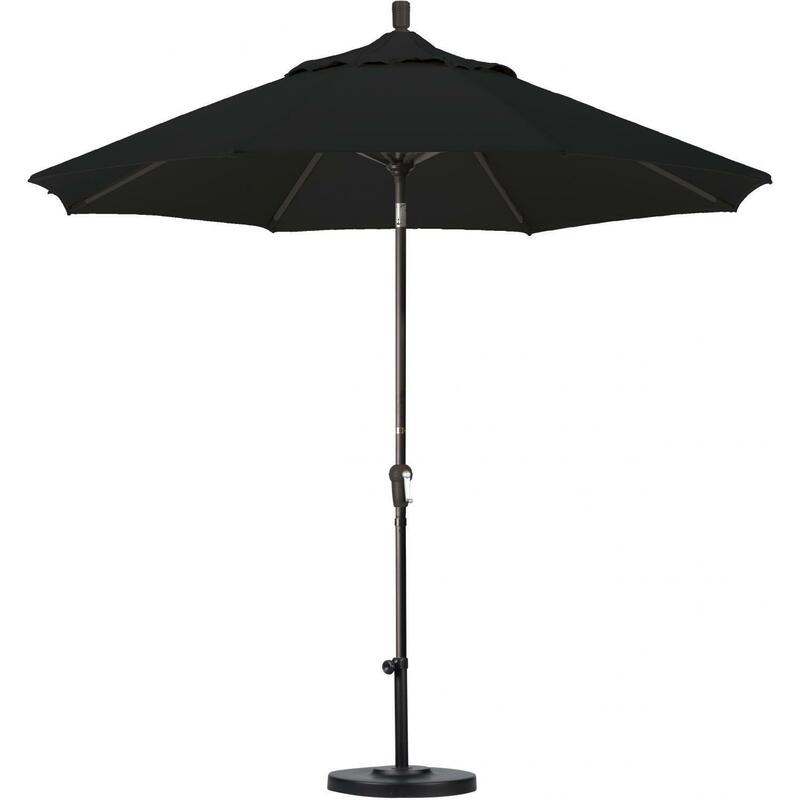 This California Umbrella features a deluxe crank lift system that makes opening and closing simple and easy while auto tilt lets you quickly adjust for the best shade solution any time of the day. Add a compatible base designed perfectly for your new umbrella and beat the outdoor heat this year in style.